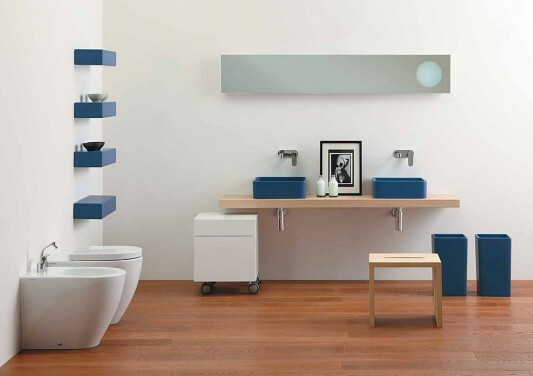 With its small size would be suitable for a minimalist modern bathroom decor, which is practical for modern families. 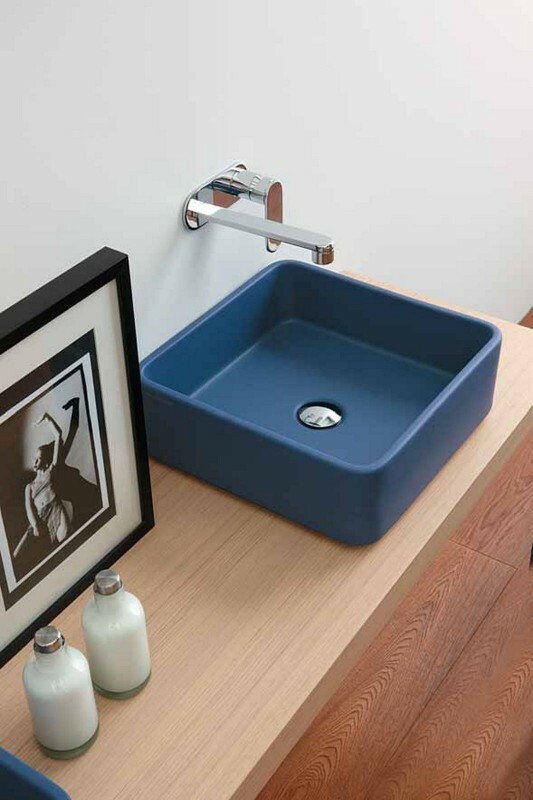 Rectangular shape with curved corners, looks simple, but elegant and compact look with matt blue color. Washbasin in addition to this, you can also integrate it with their cabinet products, or sanitary ceramics are also available there. There is a large collection of bathroom furniture and fittings which may be an option, from the colors and designs to match you with your bathroom decor needs. Detailed information visit their website Ceramica Flaminia.